Capturing the attention of a modern audience can be a difficult task. 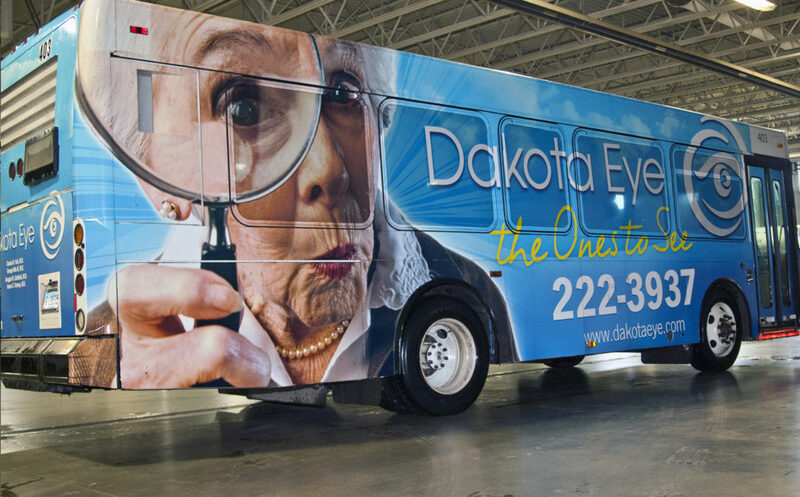 So when the Dakota Eye Institute sought a way to brand themselves within the community, MABU helped them to develop a remarkable bus wrap, which serves as a type of mobile billboard. The bus wrap was devised to extend the group’s messaging to foot traffic and public transit users in the neighborhoods of Bismarck and Mandan. MABU provided a completely customized applique featuring a bright, “eye-catching” makeup that encourages audience attention. 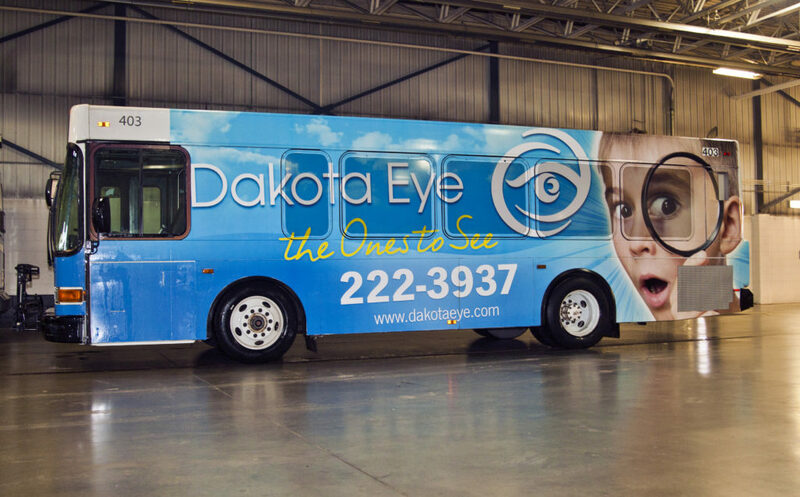 Dakota Eye Institute experienced an immediate increase in brand visibility in the community with this easily recognizable marketing asset. The bus and its vibrant colorway and imagery is well known throughout the area.